← Good Friday, Friend! I Was Arrested. How About Yourself? 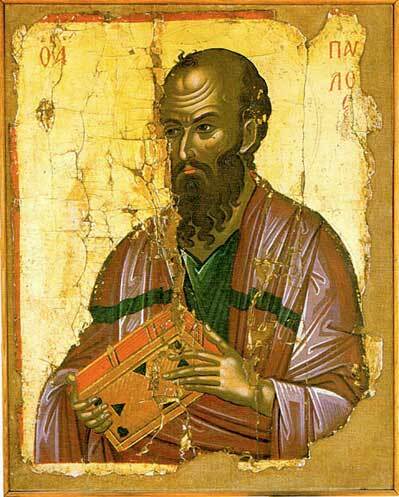 According to the non-canonical book, "The Acts of Paul", Paul was super ugly and bald. the complete lack of concern biblical scholars and laypeople alike have given this simple fact for hundreds of years. Most people reading Paul seem happy to acknowledge Paul’s social location, but prefer to skip over the implications of where Paul lived in order to get to Paul’s “theology”. The belief that we can simply know the eternal truths Paul thought about G-d without understanding to what Paul might be referring or reacting is entirely naïve. That is like trying to understand Martin Luther without knowing anything about the 16th century Roman Catholic Church or Dietrich Bonhoeffer without considering the Nazis. The possibilities of misunderstanding and abuse grow ripe when we disconnect people from their social contexts whether they are alive or in writing. My goal is to provide a cursory understanding of the 1st century Roman Empire, Paul’s social location, and how his message was shaped by that place. Rome ruled a vast empire. It stretched from Britain, down the Atlantic coastline, across the Strait of Gibraltar, through Northern Africa over to Egypt, up the Sinai and Arabian Peninsulas into Persia, back over to modern-day Turkey, over all of Greece and Italy, and across the entire Mediterranean Sea. When they conquered a new place, they took men, women, and children back to Rome and paraded them though the streets in a procession. These people became slaves for the Romans. The Romans required the slaves in order to maintain their lavish lifestyles. Thus, their imperial motivations provided vast amounts of resources, both human and natural, in order to facilitate opulence for Roman citizens. This always came at a great price for the indigenous people conquered by the Romans. Typically, Rome allowed indigenous governments to function as puppets of Roman power. This created class divisions between the people who worked for Rome and the people enslaved to them. For the most part, this created breeding grounds for resistance against the Roman slave-masters. Without modern forms of police or weaponry, Rome needed to find ways to enforce their authority over the people under their rule. One of the ways they did this was by creating myths of Roman exceptionalism. These stories hierarchically structured Romans on top of the whole world and naturalized this reign. They spread these ideas wherever they went. Eventually, the enslavement of indigenous tribes became good for the tribes. The Caesar was their lord (kyrios) and savior (soter). As the emperors went around conquering and enslaving, they justified it by divine right and moral necessity. The nations (ethne) required civilizing by the Romans. Resulting from this logic, an array of dualistic hierarchies arose. Utilizing Aristotle’s dichotomous worldview, the Romans created parallel systems of who is on top and who is on bottom: Rome/nations, male/female, sky/earth, rational/chaotic, impenetrable/penetrable, slave/free, etc. Each first word and second word corresponded to the others. Rome equated to male, sky, rational, impenetrable, and free; the nations equated to female, the earth, chaotic, penetrable, and slave. It was the responsibility of the first to control and dominate the second. well-known example is that of Judea Capta (right). 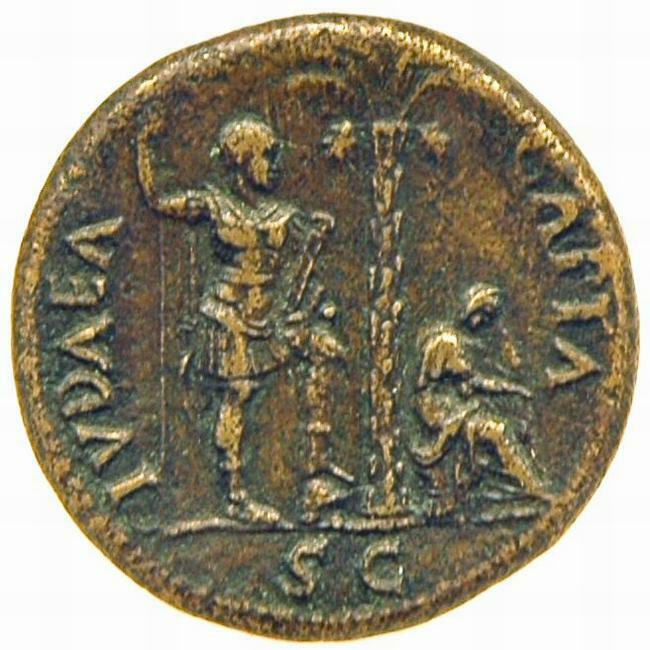 Meaning literally, “Judea Captured”, Judea Capta was a coin circulated in the 1st century, and it imaged a conquering Roman warrior towering over a mourning Judean woman. Even if you could not read, the message was clear. Rome ruled. They ensured people knew the message of these sculptures and coins by paying rigorous attention to indigenous dress and stereotypes. The images always carried these stereotypes in them. For example, people from the north typically wore pants and kept their hair long. Roman men wore togas and kept their hair short and orderly. 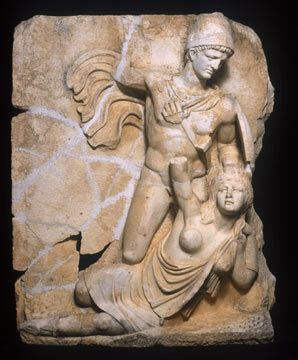 On a coin or in a sculpture, any person would recognize the short-haired, toga-wearing Roman dominating the pants-wearing, long-haired “foreigner”. Rome utilized these images in order to constantly remind everyone of Roman dominance. They hoped to naturalize Roman rule. The incessant images of being dominated operated as psychological control. They gave a very clear message, “Do not mess with Rome since they are the rulers, always have been the rulers, and should be the rulers.” With Roman military cohorts patrolling most areas, this whole scheme worked to “keep the peace” something Rome persistently claimed it did. Nevertheless, resistance movements against Roman rule sprang up repeatedly. People refused to remain conquered by these slave-masters who called themselves saviors. Paul was one of them. Gallery | This entry was posted in Bible, Christianity, G-d, Politics, Resistance, Roman Empire and tagged Apostle Paul, Catholic Church, Dietrich Bonhoeffer, Judea, Martin Luther, Roman Empire, Rome. Bookmark the permalink.